While the Gulf oil slick worsens, still spilling from a capsized wellhead and pressing ever closer to coastline towns, the blame game has exploded across the public sphere. 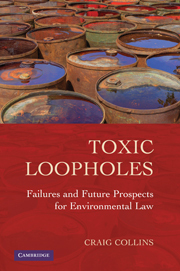 Craig Collins, author of Toxic Loopholes: Failures and Future Prospects for Environmental Law, weighs in on the politicking to offer his vision of why this crisis demands a reconsideration of America’s heavy reliance on petroleum – economically, environmentally, and morally. Petroleum executives assure us that their giant tankers and offshore oil rigs pose no danger to the environment; coal company CEOs insist that their mines are safe and that blasting off mountaintops is ecologically benign; natural gas companies claim that “fracking” deep underground geological formations will not contaminate fresh water aquifers; and nuclear power promoters tell us not to worry about core meltdowns or the disposal of millions of tons of highly radioactive waste. Do we have S-T-U-P-I-D written on our foreheads? Or do we just choose to swallow these lies because, like addicts everywhere, we need these pushers to provide us with our daily energy fix? These energy “suppliers” have a sordid history of crimes against nature and their assurances of safety have proven tragically wrong time and time again. Clearly their drive for profit knows no ethical or legal bounds. So why do we continue buy their lies, and reward them with lavish subsidies and tax breaks, instead of kicking our habit and sending these petroleum pushers to prison? Just last year BP—who now likes to say BP stands for “Beyond Petroleum,” not British Petroleum—told the government that an oil spill like the one wreaking havoc in the Gulf was highly unlikely, so they didn’t need to install the remote controlled valves that could prevent an uncontrolled blowout. According to the watchdog group, Public Citizen, BP has the worst criminal rap sheet of any oil company—and that’s no mean feat. In the last few years, BP has paid $485 million in fines and settlements to the US government for environmental crimes, willful neglect of worker safety, and manipulating energy markets. As BP’s massive oil slick smothers the Gulf’s fragile wetland ecosystems and lays waste to the fishing and tourist industries, their assurances of safety are no more credible than the sworn testimony of a career criminal. BP’s total liability for the damages caused by this massive catastrophe is capped at a measly $75 million, even though the total damages could be many billions. 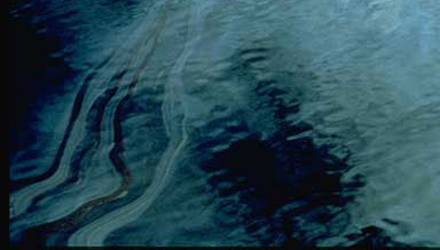 Under the Oil Pollution Act of 1990, the operators of the offshore rig face no more than $75 million in liability for damages claimed by individuals, companies or the government, although they are responsible for the cost of cleaning up the spill. The Huffington Post has reported that BP is trying to coerce gulf coast residents into signing waivers limiting BP’s liability to only $5,000. Also, BP has been requiring volunteers assisting in the clean up effort to sign similar liability waivers. Let’s put this into perspective. On revenues of nearly $240 billion in 2009, BP took home a profit of $14 billion—or roughly $444 per second! This means that the $5,000 liability waiver BP has been trying to coerce fishermen and other clean up volunteers to sign is worth 12 seconds of BP profit. Assuming BP’s liability is limited to only $75 million under the Oil Pollution Act of 1990, BP’s total cost for ruining vast ecosystems and the lives of millions would amount to less than 2 days of BP’s 2009 profit! The Massey Coal Company displayed the same type of unscrupulous criminal behavior after their April 5th coalmine explosion. The blast at its Montcoal facility killed 29 people in the country’s deadliest underground disaster in a quarter-century. Even though Massey was repeatedly cited for improperly venting methane gas, company officials insisted their operation was safe right up to the day when it exploded. Last year, the number of citations issued against the mine more than doubled and the penalties levied against Massey more than tripled. Since the explosion, federal inspectors have found more than 60 serious safety violations at Massey facilities. 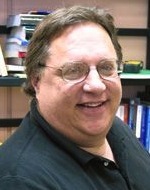 Andrew Tyler, a conveyer belt electrician, told the New York Times that live wires were often left exposed and that coal dust and methane accumulation were routinely ignored. Yet, after the explosion, Massey CEO Don Blankenship told Metronews radio that, despite the company’s many violations, the Mine Safety and Health Administration would never have allowed the mine to operate if it had been unsafe. It’s time to purge our petroleum-clogged economic arteries and clear our heads of gasoline fumes and high-octane dementia. Fossil fuel addiction is distorting our judgment and allowing these energy pushers to get away with murder and ecocide. Unless we come to our senses soon, we will have sacrificed the planet to feed our addiction.